Last weekend Ryan and I had the chance to get away by ourselves for a while so we decided to take a trip to the city. 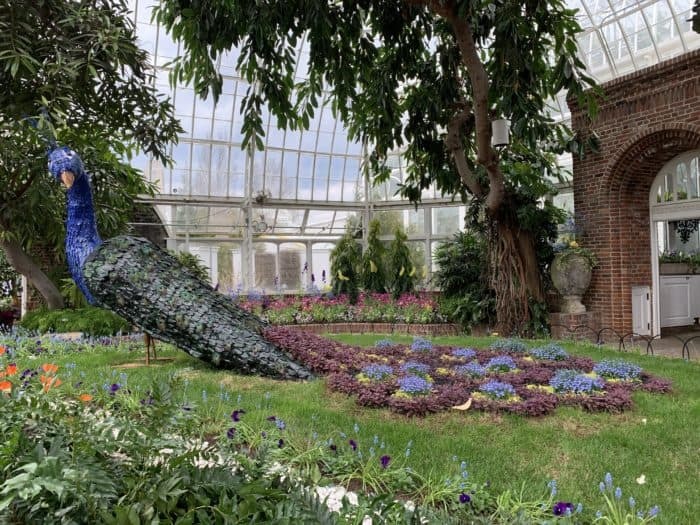 The folks at Phipps Conservatory were nice enough to host us for a visit to the Spring Flower Show: Gardens of the Rainbow. Its been a while since I’ve been to Phipps and this would have been Ryan’s first time so we were looking forward to an afternoon of color. 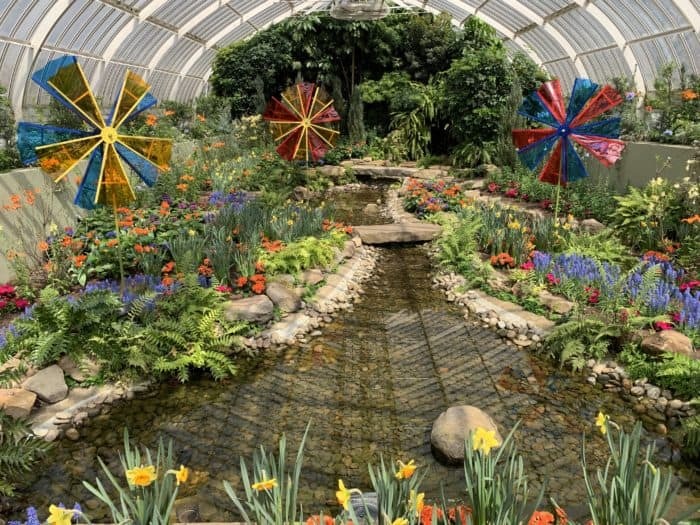 Phipps’ displays are always amazing but the Gardens of the Rainbow boasts tens of thousands of spring flowers. Of course, any sort of flower show that Phipps puts on needs to be seen in person to truly appreciate its beauty. 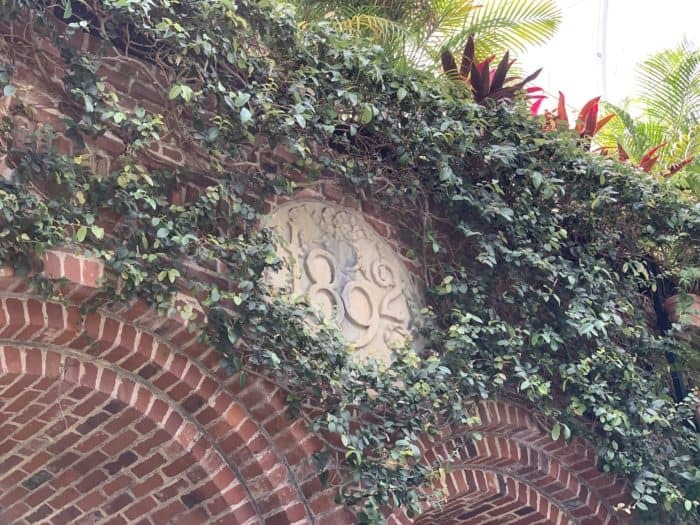 Not only are these flowers housed in a historic building, but Phipps manages to blend history and art, making this a truly unique experience. These are just some highlights of the show, but you will absolutely want to see it for yourself in person. The 9-foot peacock was definitely the star of the Spring Flower Show. The show stopper is the giant 9-foot-tall topiary peacock. Peacocks are beautiful creatures as it is, but when they are done is flowers, but when they are done in flowers it is absolutely exquisite. Tulips bloom in Phipps Serpentine Room. The Serpentine Room always gives visitors the opportunity to meander through a variety of seasonal flowers, allowing your to immerse yourself I their beauty. 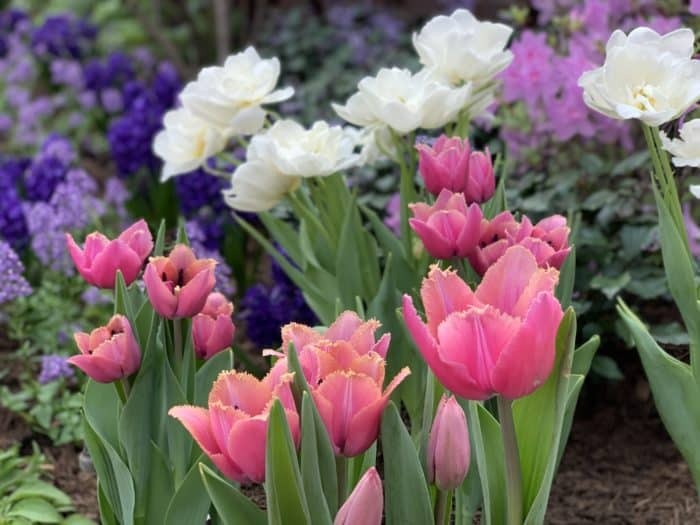 For the Rainbow Gardens show this path includes colorful spring favorite. Be sure to look upwards to see the large prisms on the ceiling. 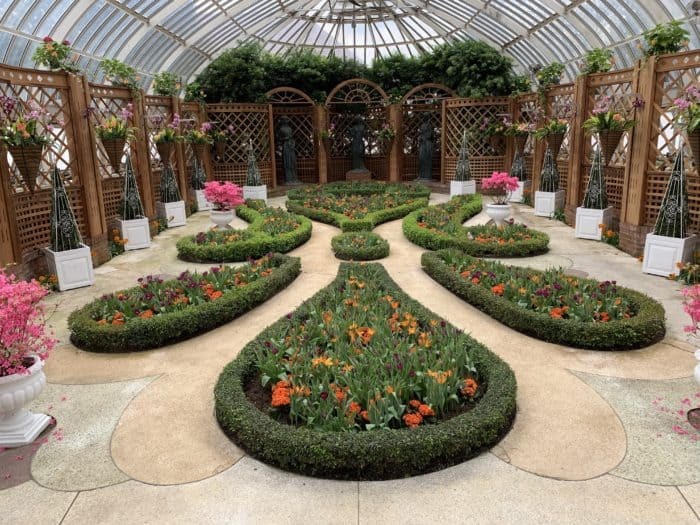 No matter the season, the Broderie Room with it’s petal-shaped flower beds always impresses. This is a room that is best viewed at a distance so it is not able to be walked through, but the beautiful colors and designs in this room are breathtaking. The East Room was probably my favorite room of the whole Gardens of the Rainbow display. This was my favorite room in the show. Maybe it was the little stream running through it (I wish my pond at home looked that good) or maybe it resembled something that childhood dreams would be made of. It’s whimsical and fantasy all mixed into a rainbow of color. There are so many other displays to see at Phipps aside from the rotating shows as well. While you are there, be sure to check out the Japanese Gardens, Cactus Room, and discovery areas. 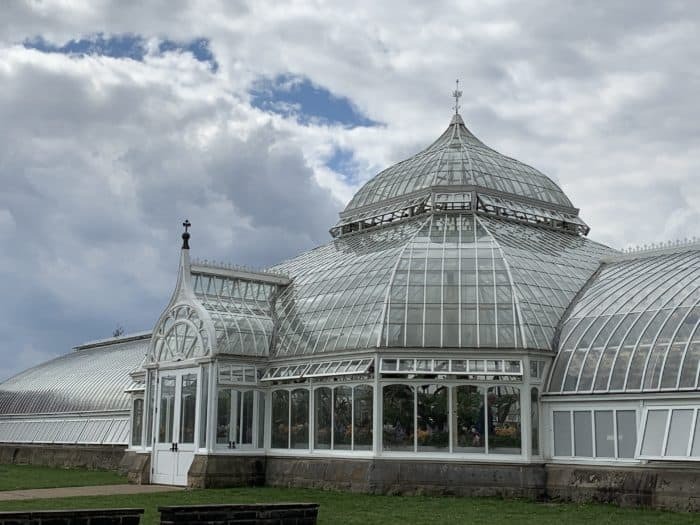 At over 100 years old, Phipps Conservatory holds a lot of history in addition to holding a lot of flowers. Between the inside and the outside gardens you will definitely want to set aside at least two hours to see everything there is to see. 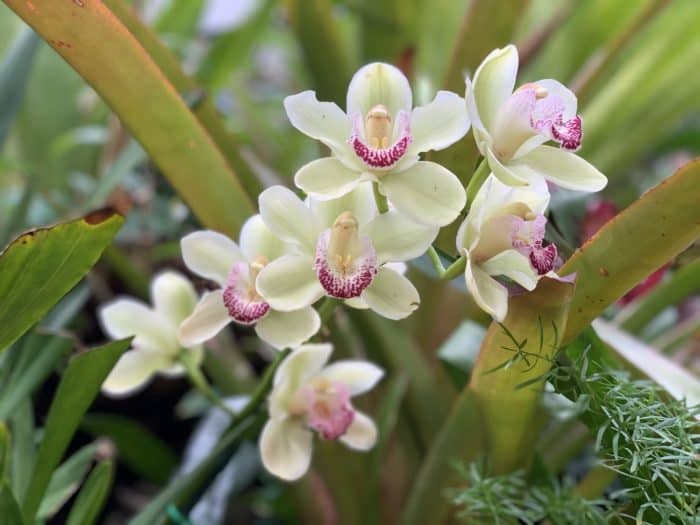 Even if you aren’t a botanist (I pretty much have a black thumb), these botanical gardens are something to see. This show is the perfect way to start spring, but don’t worry if you don’t make it to the spring show. I’m sure the summer show will be just as amazing. 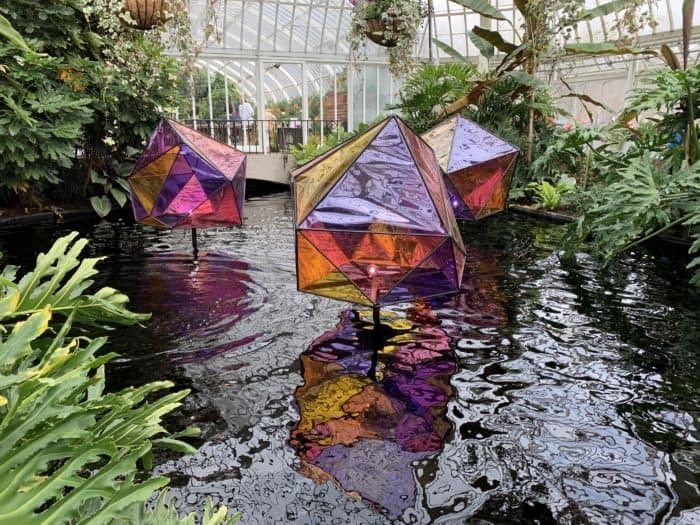 The Gardens of the Rainbow show only lasts through April 21 so if you want to see it you have to hurry. To check out more about Phipps Conservatory, or to see what the next show is, visit the Phipps website.